With nineteen other albums under his belt, Gary Hoey is doing his thing again this time with the new album Dust and Bones. A true blues triumph, it’s where Gary belongs. This Veteran has taken his Strat, and paid his homage to the blues gods, and they are pleased. The album throws us into a Robert Johnson-esque song with a modern twist of course, called “Boxcar Blues.” This train of a track hits all the stops. Chugging right along we strut our way into “Who’s Your Daddy.” This song is an obvious upbeat tribute to the great Brian Setzer and it delivers. 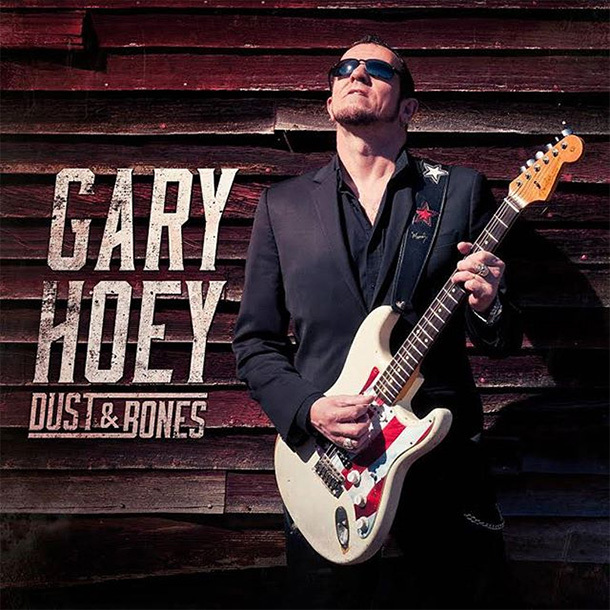 “Dust and Bones,” the album’s namesake, is a modern blues song that showcases Hoey’s guitar chops as well as his vocal acuity. Put out by Mascot, the album is available in the modern CD or for those that like the classics vinyl as well. All in all, this album has every thing a classic blues album should have.